The resort destination of Whistler is nestled below the Whistler and Blackcomb Mountains in the Whistler Valley, north of Vancouver, British Columbia. 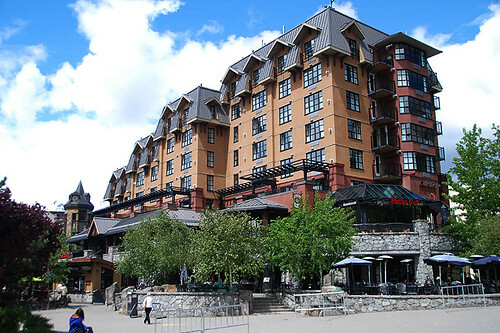 In recognition of its world-class status as a ski resort, the cosmopolitan Village of Whistler co-hosted the 2010 Winter Olympic Games with Vancouver. Enchanting Whistler continues to be the fastest-growing municipality in BC, and has been recognized as the Top Ski Resort in North America for the past decade. Something magical happens when you arrive at the summit of the small valley that contains Whistler. A cluster of small lakes is gathered here, reflecting the outlines of the mountains high above, including Alta Lake, the great divide in the Sea to Sky corridor. No other lakes have scenery quite like this to mirror. When you let your eyes rise from the reflection to admire the real thing, the contours of the ski runs on Blackcomb and Whistler Mountains pattern the forested slopes. Above the tree line, you can still see remnants of the most recent ice age in the glaciers that encrust the highest peaks. 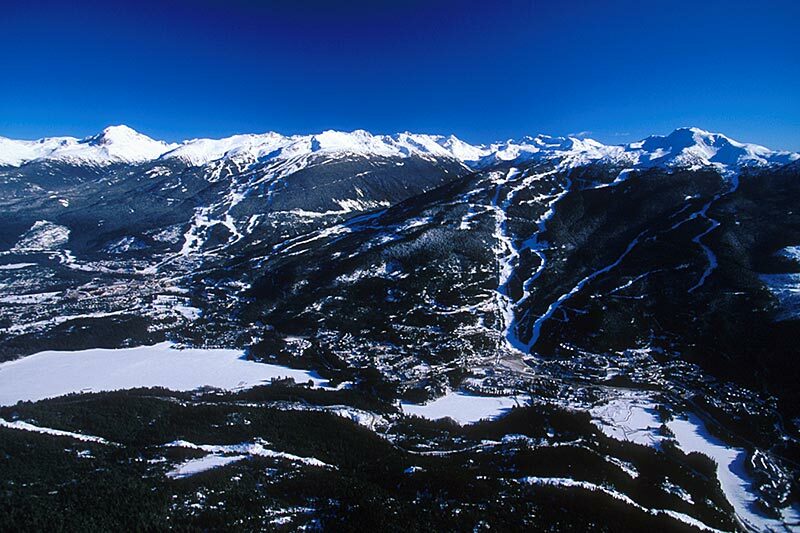 Take a deep breath of the freshest air imaginable, and prepare for a magnificent playground called Whistler. Whistler is the ultimate rags-to-riches West Coast success story. The Princess of the West Coast, Whistler has been transformed in just over 25 years from the tiny wilderness recreation community originally known as Alta Lake to the world famous super-resort village with a population of 10,000. 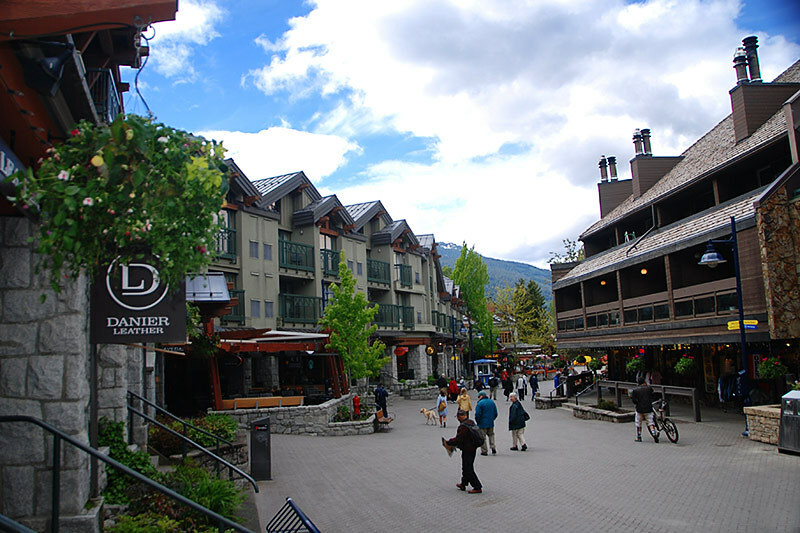 Central to everything in the resort is Whistler Village, with its shopping areas and après-ski restaurants bordered by squeaky-clean streets. The skiing is… well… maybe the best anywhere! 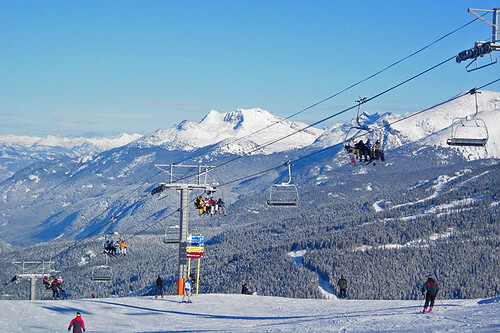 Whistler and Blackcomb mountains have over 200 runs and 33 ski lifts combined. The Coast Salish First Nations people inhabited the land around Whistler for many thousands of years, hunting and gathering and living a nomadic lifestyle on the land. The Whistler Valley was an isolated wilderness frequented only by the Lil’wat Nation from the Mount Currie area and the Squamish Nation who lived in an area stretching from present day North Vancouver to the Squamish River watershed and the northern area of Howe Sound (Gibson’s Landing). The European history of Whistler stretches back to the 1860s, when British Naval Officers surveyed the area and gave Whistler Mountain the name London Mountain. The name Whistler was used by these early settlers because of the shrill whistling sound made by the western hoary marmots that live among the rocks. The Pemberton Trail from the top of Howe Sound through the Coast Mountains linking the Pacific coast to the Pemberton valley north of Whistler was completed in 1877, encouraging trappers and prospectors to settle. They were followed by the arrival from Maine of Alex and Myrtle Philip in 1912. Construction began in 1914 on what was to become the famous Rainbow Lodge on Alta Lake, catering to fishermen and outdoors people. The highway eventually pushed through from Vancouver in 1965, with Whistler Mountain opening for skiing during the same year. In February 1966, when the Garibaldi Lift Company opened its ski area on the west side of Whistler Mountain, Whistler Resort was only a vision of a dedicated few. 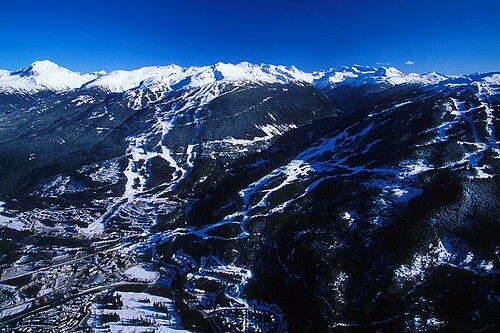 The development of Whistler Resort just 14 years later, and its successive growth into an award-winning, international resort, is unparalleled in ski history. (History of Whistler and Whistler Mountain). 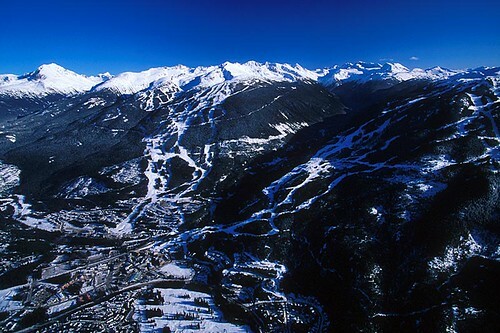 To complement Whistler Mountain, Blackcomb Mountain opened its brand new facility in December 1980, and Whistler Village was built at the base of these two side-by-side mountains. The Village was carefully designed to reap the benefits of the Coast Mountain’s excellent geographical location, emphasizing excellent sun exposure and breathtaking mountain vistas. 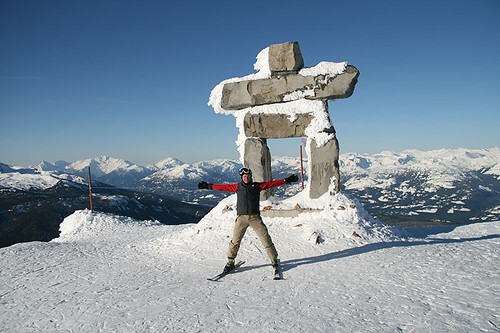 The more than two million annual visitors to Whistler will find that the excellent exchange rate, superb terrain, impressive snowfalls and the unique village atmosphere all combine to provide great value and an unforgettable vacation experience. Whistler has the most ski-in/ski-out accommodation of any mountain recreation resort in North America. To date there are 15,200 pillows within 500 metres of the lifts! Ski-in/Ski-out accommodation represents more than 75% of all existing rental pillows. Whistler is a four-season destination, offering the greatest vertical drop on the continent, more than 7,000 acres of skiable terrain in winter, and endless outdoor activities in the summer. No wonder the 2010 Winter Olympic Games came to Whistler and Vancouver! Location: Whistler is located on Highway 99, 75 miles (120 km) north of Vancouver. Access to Whistler is by car, limousine, van, scheduled bus, train, or chartered helicopter or floatplane. From Downtown Vancouver take Georgia Street through Stanley Park and over the Lions Gate bridge to the North Shore. Exit the bridge on the Marine Drive West turnoff and take the first right onto Taylor Way. Travel up the hill and turn left onto Highway 1, following the signs to Exit 2 just before the Horseshoe Bay Ferry Terminal, which leads you to Whistler on Highway 99. The spectacular two-hour drive along the Sea to Sky Highway (99 North), from Vancouver to Whistler offers awe-inspiring views of Howe Sound and passes by the town of Squamish. 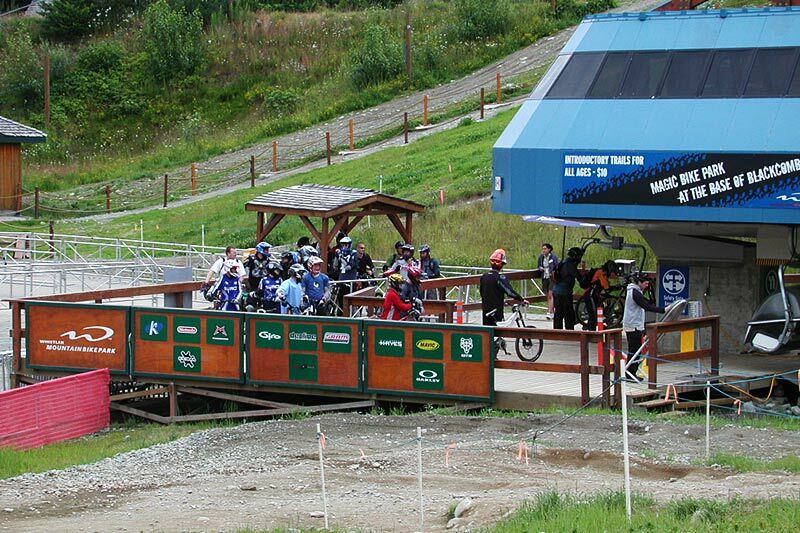 Once you’re in Whistler, you can ride a free in-resort shuttle bus within the village area. If you want to go sightseeing around the valley, you can use Whistler’s public transit system or take a guided tour. Vancouver 2010 Winter Olympic Games: Vancouver and Whistler were the host cities for the 2010 Winter Olympic Games and Paralympic Games, the third Olympic Games hosted by Canada, and the first by the province of British Columbia. Previously, Canada hosted the 1976 Summer Olympics in Montreal and the 1988 Winter Olympics in Calgary. Whistler and the Callaghan Valley hosted Alpine Skiing, Biathlon, Cross-country Skiing, Nordic Combined, Ski Jumping, Bobsleigh, Luge, and Skeleton. Whistler Blackcomb Ski Resort has the largest ski area on the continent: over 28,000 hectares (7,000 acres) of ski and snowboard terrain, with over 200 marked trails, 12 massive Alpine bowls, 3 glaciers, and 33 lifts. Whistler Mountain (elevation 7,160 feet/2,182 m) and Blackcomb Mountain (elevation 7,494 feet/2,284 metres) competed with each other for two decades before merging in 1997. Competition between Whistler and Blackcomb Mountains led to their status in the minds (and hearts) of many skiers and snowboarders as the premier North American winter resorts. Their union merely confirmed the impression that, for most visitors, Whistler is a seamless valley. You can just as easily explore one mountain as the other. Each offers a complimentary perspective on its companion and each has a loyal following of ski and snowboard devotees. The best answer to the question ‘which is best?’ is that when you’re in heaven, it doesn’t matter which side of the street you walk on. 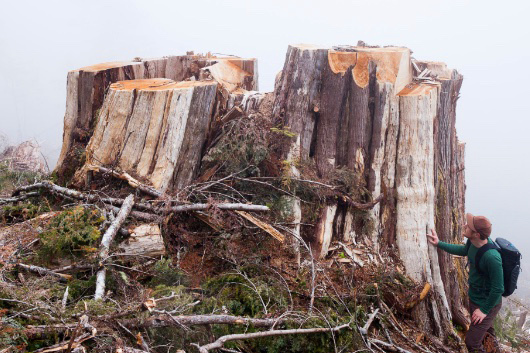 Both have been around long enough (Whistler since 1965 and Blackcomb since 1980) to have developed trails over a combined total of 7,071 acres (2,864 hectares) that over the seasons have been shaped, groomed, and gladed to hold snow and reduce obstacles. Whistler Village: After an invigorating day on the mountains, or enjoying adventure activities in Whistler Valley, visitors can explore the unique pedestrian-only Whistler Village. No matter what you choose to do, Whistler serves up an attractive mix of cosmopolitan amenities and pristine beauty. 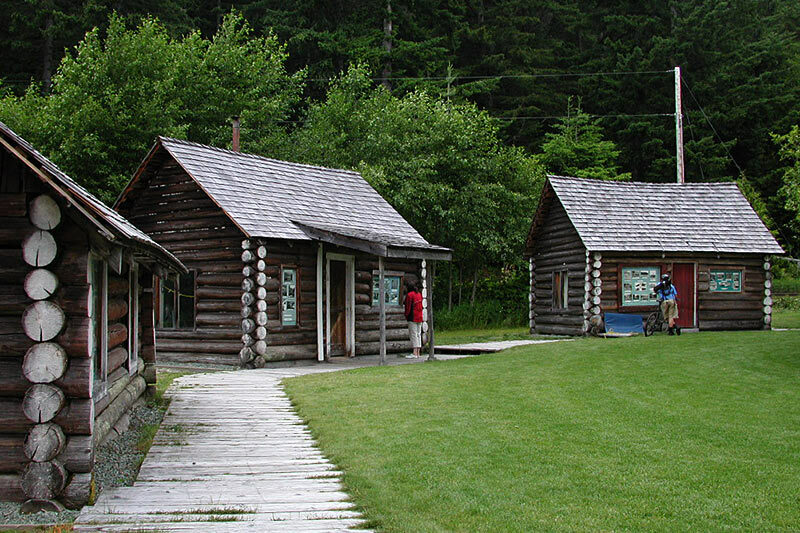 Relive the history of Whistler at the Whistler Museum and Archives, situated in the village on Main Street. The museum houses exhibits on ski history and artifacts dating back to the 1850s. Entertainment and Events: The good times roll year-round in Whistler, with many festivals from June to September. Jugglers, comedians, magicians, clowns, mountain-bike stunt riders and a variety of other street entertainers bring their talents to the cobble-stoned streets of Whistler every day. Don’t miss the annual Oktoberfest in October. Whistler hosts this celebration of Beer and Bratwurst, featuring oom-pah-pah bands, dancers and traditional Oktoberfest fare. 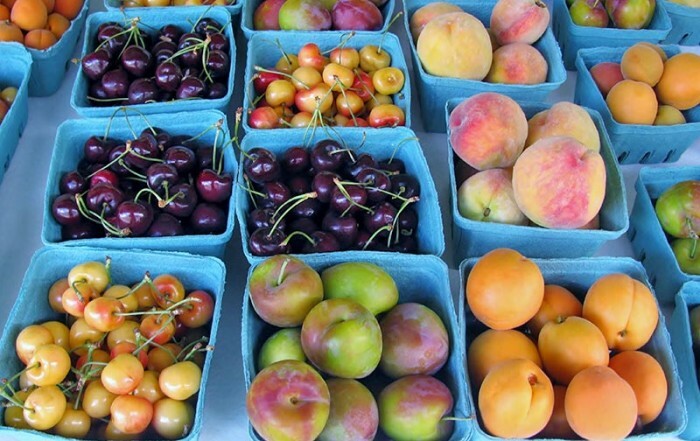 Whistler’s popular Farmers Market is held every Sunday in the Upper Village from mid June to early October. Enjoy live entertainment and shop for local arts and crafts, and fresh, organic and local produce. 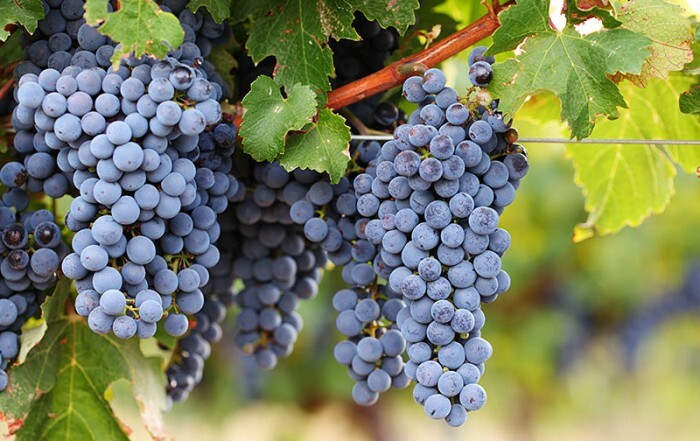 Cornucopia, Whistler’s Food and Wine Festival in November, attracts world-class wineries, celebrity chefs, and food connoisseurs to Whistler. The influence of the First Nations People on their traditional lands is celebrated annually every August during Weetama: Whistler’s Celebration of Aboriginal Culture. View an aboriginal artist carve a totem pole, enjoy an authentic West Coast aboriginal feast, or hear the mythological interpretations of aboriginal singing and dancing. Weetama is rich in culture and an excellent opportunity to learn more about aboriginal culture in the Whistler area; about the Coast Salish people and their fascinating history, music, art and dances. Skiing & Winter Sports in Whistler and Blackcomb Mountains. There are several styles of cross-country trails around Whistler, and the wilderness environment just beyond the lifts to the east, north, and west of Whistler/Blackcomb offers hundreds of ski runs, with a tremendous variety of slopes to accommodate all levels of skiers and boarders, from intermediate to expert. Additional winter activities include snowshoeing, snowmobiling, and old style sleigh rides. Venture into the backcountry with a professional musher and his team of Inuit sled dogs – a truly Canadian experience! When it’s cold enough, out come the snow shovels to clear a place for ice skating on Alta Lake in Whistler. Head for Rainbow Park on Alta Lake Road to find it (and don’t forget your shovel). Indoor ice skating is offered in Whistler’s Alpine Meadows neighbourhood. Skates are available for rent. Heli-skiing provides access to the hundreds of runs accessible only by helicopter. The runs vary from expansive glaciers to beautiful subalpine open tree runs – depending on the weather conditions – and vary from 1,400 to 5,000 vertical feet (400m to 1,500m), with the average runs being approximately 45 minutes. The range includes 7,500-ft Spearhead (behind Blackcomb), 9,000-ft Ipsoot Mountain (north of Whistler), 7,200-ft Powder Mountain (south west of Whistler Village), and 9,300-ft Feethurley River Area (north of Pemberton). To those with an aversion to flight (unless it’s off a cornice) snow-cat skiing/snowboarding can get you into the untracked backcountry around Whistler just as effectively as heli-skiing/boarding. Heli-Skiing in the Whistler Area. Summer: In the summer months, Whistler and Blackcomb Mountains offer a bounty of outdoor recreation activities. The varied terrain of the Vancouver, Coast and Mountains region accommodates every outdoor recreation known to man, including alpine sightseeing, mountain biking, hiking, horseback riding, canoeing and kayaking, river rafting and jetboating, mountain climbing, paragliding and hanggliding, backcountry tours, fishing, world-class golfing, and wildlife viewing. Whistler Blackcomb even offers summer skiing and snowboarding at elevation 7,600 feet (2,330 metres) on the high-alpine glaciated snow of Horstman Glacier on Blackcomb Mountain. 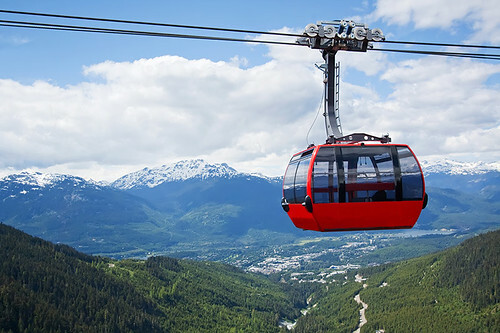 Peak to Peak Gondola: At 4.4 kilometres long and 436 metres above the valley floor, the Peak 2 Peak gondola is an engineering marvel that spans the distance between Whistler and Blackcomb Mountains. Use it to take in 360-degree views of ancient peaks and glaciers, to access 19 hiking and walking trails on both mountains, or to enjoy great alpine dining. The Peak 2 Peak breaks three world records: the longest unsupported span of 3.024 kilometres, the highest lift of its kind, and the gondola completes the longest continuous lift system on the globe. 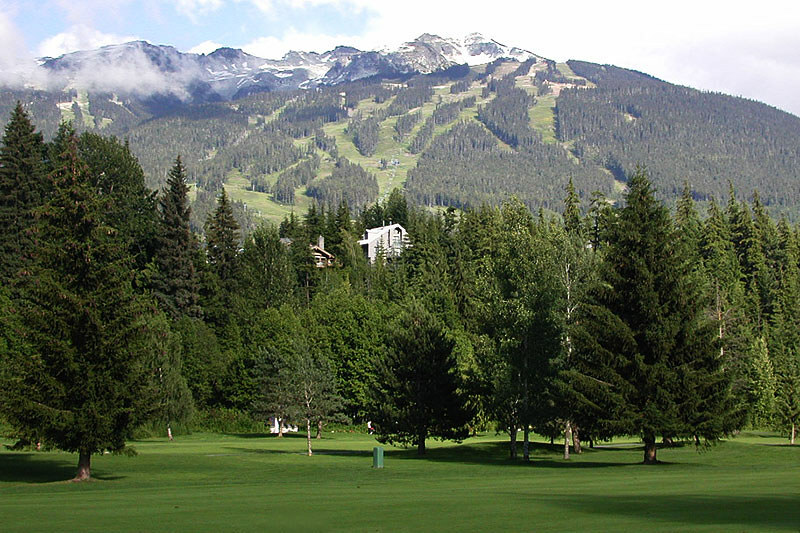 Golf: Whistler has been named one of the top ten golf destinations in the world. A fine combination of phenomenal scenery, superb golf courses and fabulous accommodation attract some of the world’s golfing giants to Whistler. 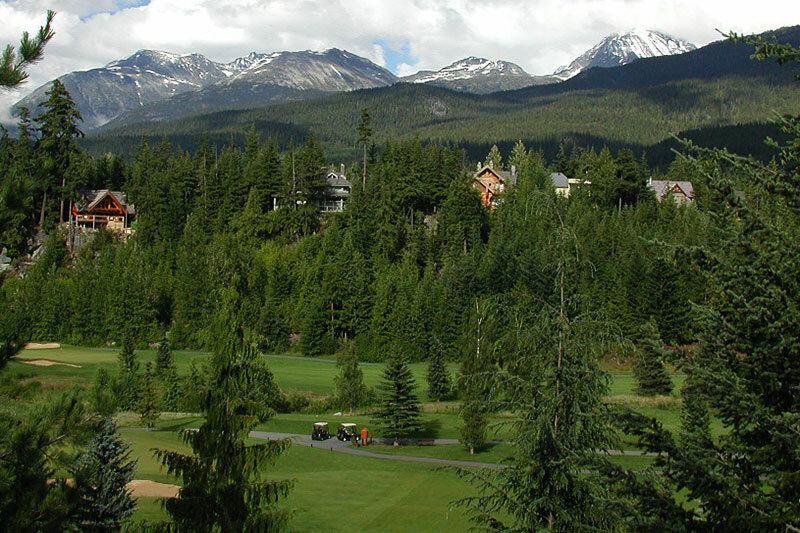 Top courses include Chateau Whistler Golf & Country Club, Nicklaus North Golf Club, and Whistler Golf & Country Club. Top courses nearby are Big Sky Golf & Country Club in Pemberton, and Furry Creek Golf & Country Club in Lions Bay, between Vancouver and Whistler. Whistler Golf Vacations. Mountain Biking: Whistler is a mountain bike mecca, offering the mountain biking enthusiast hundreds of trails to explore, including some of the best trails in North America. Ride the lifts to the top so you can enjoy breathtaking mountain views before commencing the exhilarating descent on rolling trails along glacier-fed lakes. Push the envelope further by flying in by floatplane to Callaghan Lake for a 16-km descent on rolling single and double track to the spectacular Brandywine Falls. Crankworx, Whistler’s summer mountain bike festival in August, features competitions, demonstrations, and plenty of live entertainment. Mountain bikes are available for rental in Whistler Village. Mountain Biking in the Whistler and Sea to Sky area. Hiking trails and parks in the Whistler and Sea to Sky Corridor offer superb hiking and backpacking opportunities. 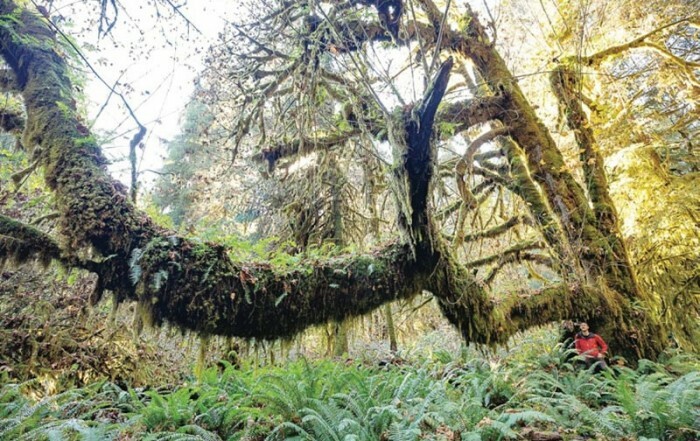 The area boasts old-growth forest, many waterfalls, and pristine alpine meadows and lakes. Nature walks and hikes can vary from a casual outing to full-day hikes and multi-day backpacking trips. Heli hiking, alpine hikes, and glacier hikes are also available. Hiking & Backpacking in the Whistler and Sea to Sky area. Horseback Riding: There is no better way to see and experience the sights and beauty of nature than on horseback. Take a scenic trail ride through lush old-growth cedar forest and out along the sandy beach at Green Lake, or enjoy a mountain trail ride in the alpine on whistler Mountain, where horseback rides leave from the top of the Gondola and meander through mountaintop trails. Experienced riders can climb a forest trail high above a glacial lake on half-day, full-day or overnight trips. Guided pony rides for kids can be arranged at the Edgewater Outdoor Centre on Green Lake. Horseback Riding in the Whistler and Sea to Sky area. Rock Climbing and Ice Climbing: The Whistler area boasts an abundance of great rock climbing; from 600-metre high granite walls to leading edge sport climbs. Many of the best sport climbs are within a short drive of Whistler Village, including Blackcomb Peak, Wedge Mountain, Joffre Peak, Mount Matier, the Nordic Bluffs and Cheakamus Canyon, offering sport climbs of grades 5.6 to 5.14. Ice Climbing and multi-day Ice Camps are also based out of Whistler Village. Rock Climbing in the Whistler and Sea to Sky area. Paragliding is certainly the most graceful way to make a descent of a mountain. There’s only one bump to contend with, and that’s when you touch down. Paragliding is a long-standing tradition on Blackcomb Mountain’s Seventh Heaven zone. 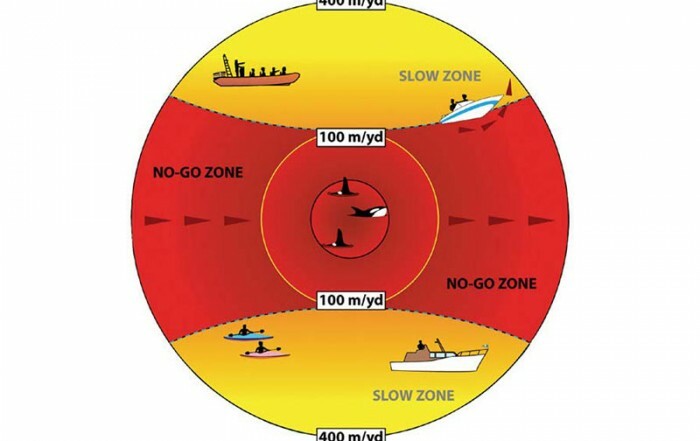 Hanggliding & Paragliding in the Sea to Sky area. Canoeing and Kayaking: Paddlers can set off on one of the many canoe trips available on the Ryan and Lillooet Rivers, amidst panoramic scenery and wildlife environments that unfold around each bend in the river. 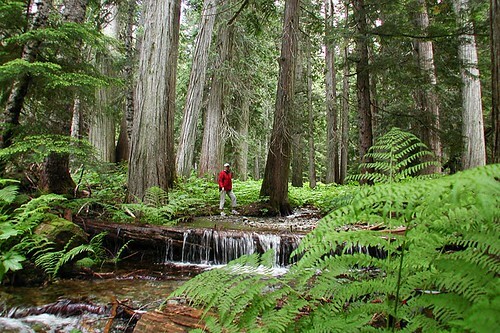 Visit remote waterfalls, or stop and hike in to explore remote wetlands and ancient cedar groves. A visit to Whistler would not be complete without a paddle down the River of Golden Dreams. River Rafting and Whitewater Adventures: River rafting in this region offers stunning views of glaciers, waterfalls, forests, mountain peaks and canyons, where majestic peaks and rugged coastal valleys provide the perfect natural landscape for great river exploring. Between Vancouver and Whistler, the Elaho-Squamish and Cheakamus Rivers offer exciting river rafting as they wind southwards into Howe Sound. Whitewater River Rafting in the Sea to Sky area. Jet Boating: Whistler introduces adrenaline junkies to one of the favourite adventure tours in BC – Jet Boating. During periods of snow melt, high water levels on the Green and Lillooet Rivers allow jet boats to challenge rapids through sheer granite canyons, embarking on wild downstream runs past ancient coastal forests. 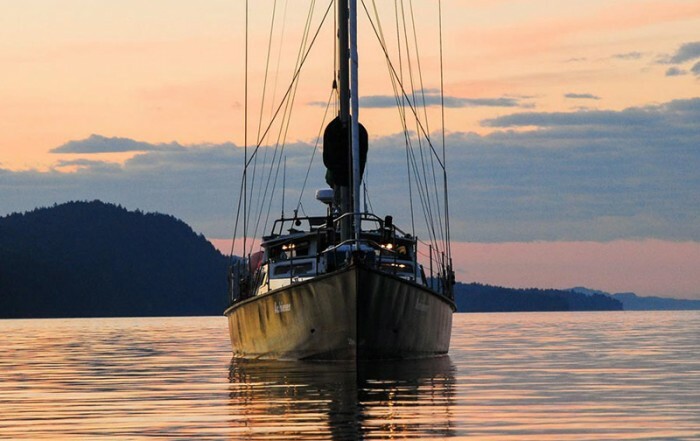 More placid sunset dinner cruises and rafting trips are also available, taking in views of glaciated mountain peaks, rock pictographs, and an abundance of wildlife. River Boating & Jet Boating in the Whistler and Sea to Sky Area. All-Terrain Tours: Embark on a Hummer, Jeep or all terrain vehicle (ATV) journey of wildlife discovery, starting from the heart of the Whistler Village. An exciting combination of interconnecting forest roads, cat tracks, open play areas, wilderness trails and single tracks will get you out into Whistler Valley and Blackcomb Mountain’s backcountry, where you’ll find spectacular views of glaciers, peaks, wildlife and the Whistler Village far below you. Zip Trek and Bungee Jumping: Adrenaline junkies can discover the world from above by ziplining, where people pay money to launch themselves off a platform 30 metres above the ground wearing a harness clipped to a zipline. Five incredible ziplines, canopy bridges, stairways and trails allow one to fly over Fitzsimmons Creek and the spectacular forest valley between Whistler and Blackcomb Mountains. Ziptrek ecotours operate year round, in all weather conditions, from just above Whistler Village. 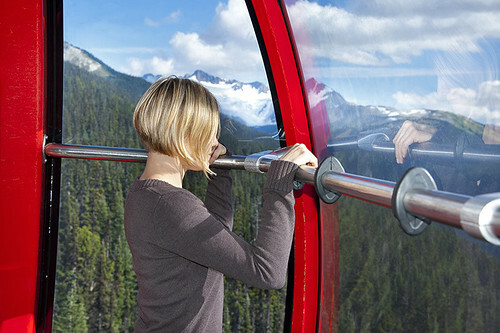 Take advantage of this thrilling lifetime opportunity while in Whistler…because Whistler is all about the experience! If this sounds too much for you, then a Tree Trek canopy walk will allow you to touch the tips of 10-storey high trees and explore the forest while walking in the treetops. Whistler also has the higher of two bungee jump zones in BC. Nestled between old growth forests and rugged basalt column cliffs, the 160-foot jump is from a high bridge spanning 300 feet over the glacial-fed Cheakamus River. Access is via the Cal-Cheak Forestry Road south of Whistler. Fishing: Had enough skiing? How about a multi-day fly-in fishing adventure to the remote lakes and rivers of the Chilcotin, deep in the heart of ‘Big Fish Country’, known for producing rainbow trout up to 8 lbs. Leave your spouse at the mercy of Whistler’s spas, slopes and shops while you sneak off to the Chilcotin, local Coast Mountain Lakes, or a full-day of salmon fishing in Campbell River. Sound good? Flying isn’t essential, of course, as you can enjoy a half or full-day guided fly or spin cast fishing trip with a professional guide to one of the many uncrowded lakes, rivers or streams in the region’s mountains. 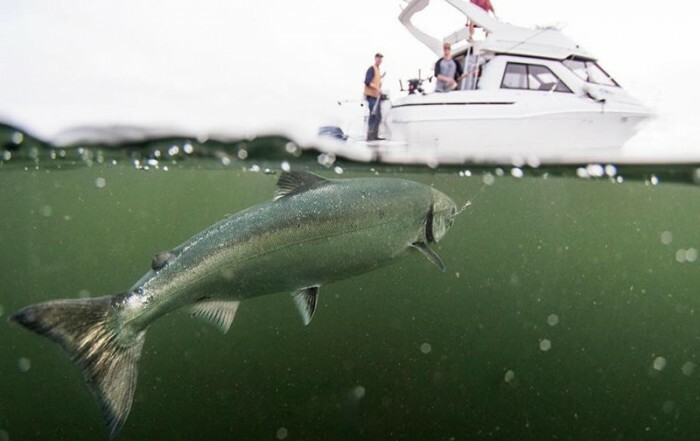 In summer fish for Rainbow Trout, Cutthroat Trout, Kokanee, and Dolly Varden Char, and in the fall go for Salmon; Coho, Sockeye, Pink and Chum. 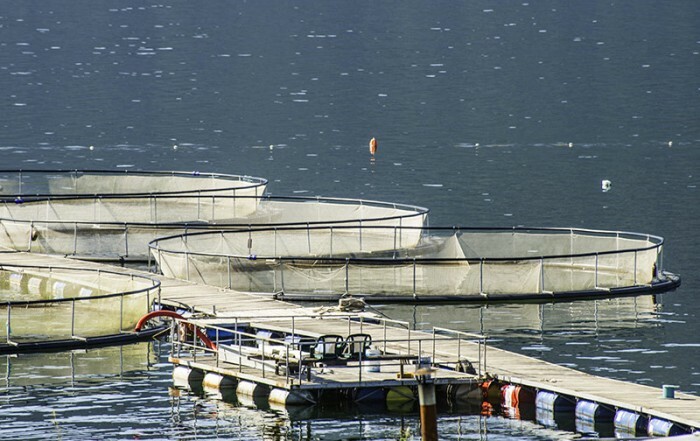 Take a professionally guided trip, or rent an electric-powered fishing boat and tackle and venture onto Green Lake or Alta Lake on your own. 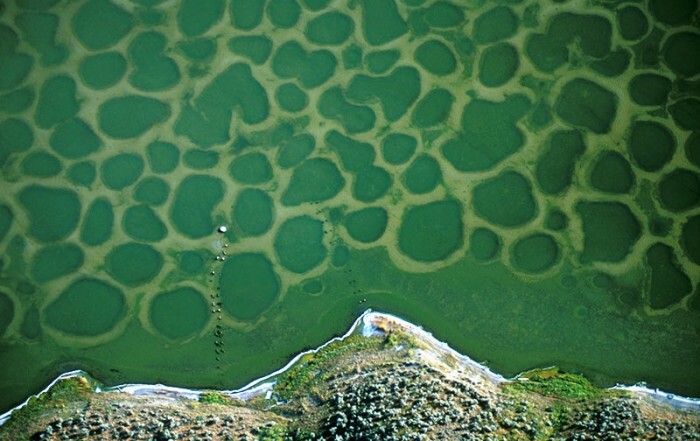 Lakes and Rivers: Five sparkling lakes and numerous rivers dot the Whistler Valley, offering fishing, river rafting, kayaking, canoeing, sailing and boating: Lost Lake, Green Lake, Alta Lake, Nita Lake, and Alpha Lake. Ride a Chairlift or the 10-person Whistler Gondola to the top of Whistler Mountain (20 minutes) for a picnic amongst breathtaking vistas. Sightseeing, hiking and mountain biking on Whistler Mountain is a magical experience, with colourful wildflowers, rich forests, glistening alpine lakes, and epic views of snowcapped mountains in every direction – all from 6,000 feet above sea level. There is no sightseeing on Blackcomb Mountain. 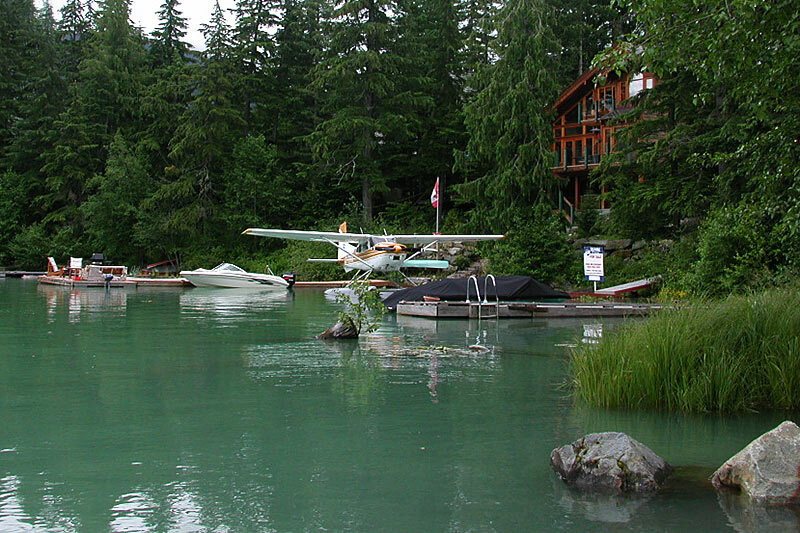 Scenic Flights of the Whistler area are very popular, whether by plane, floatplane, helicopter, or glider. 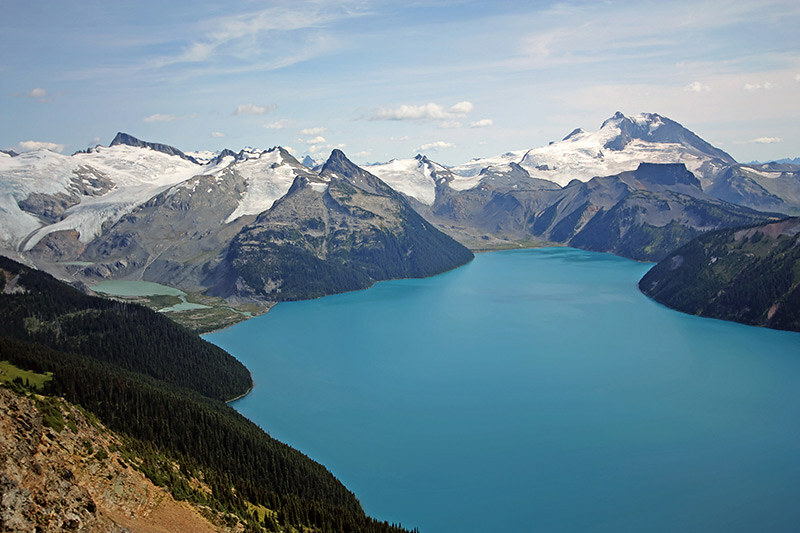 Enjoy a truly amazing bird’s-eye view of Whistler Valley, Whistler and Blackcomb Mountains, breathtaking glaciers, the captivating Black Tusk, or the turquoise waters of Garibaldi Lake. Tours and custom charters leave from Pemberton airport north of Whistler to Garibaldi Park and the sacred Stein Valley. 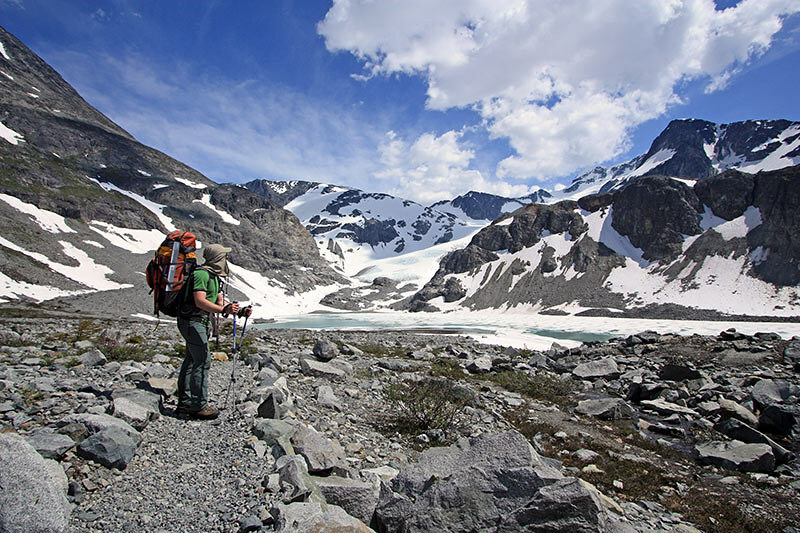 Glacier Walks and Hikes: Rise to the top of the world on a glacier walk or hike on the Horstman Glacier on Blackcomb Mountain. Supersize your excitement with an awe-inspiring helicopter ride over the Coast Mountains to a landing site on the glacier – great photo opportunity! Other guided glacial adventures go to the Pemberton Ice Cap, Stanley Smith, Monarch, the Homathko Ice Fields, and Mount Waddington. Wildlife: The coastal rainforest around Whistler is prime habitat for bears, cougars, and deer, and Whistler is situated on the natural migratory route for numerous bird species, from hummingbirds to bald eagles. Each year the Bald Eagle attracts thousands of people from around the world to observe them in their winter home on the Squamish, Mamquam and Cheakamus Rivers. The best time to spot the eagles is between November and March when they are feeding on the spawning salmon with the numbers peaking in December and January. In 1994 a world record of 3,768 eagles were counted. Every winter, thousands of bald eagles congregate in Brackendale, about 45 minutes south of Whistler. 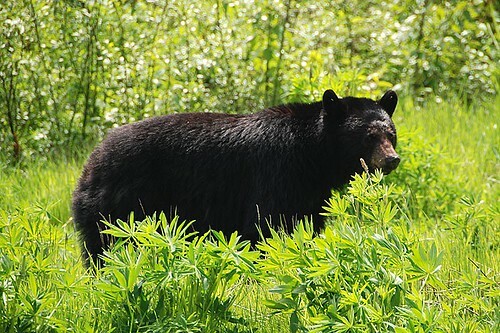 Nature tours, and bear watching tours are available. Garibaldi Provincial Park offers camping at Garibaldi Lake restricted to two designated areas – Taylor Meadows and the west end of Garibaldi Lake. Tent pads and a covered cooking shelter are located at each. When water levels in Garibaldi Lake are high, be prepared to wade a short distance along the shoreline to reach the campsites on its west side. There are also wilderness campsites at three locations on Cheakamus Lake in the park. The easiest one to reach is at the west end of the lake, while those at Singing Creek and Castle Towers Creek are more remote. You’ll need a boat (and a couple of hours paddling) to reach the primitive site at Castle Towers from the launch at the lake’s west end, which almost guarantees that you’ll usually have the site to yourself. Elsewhere in Garibaldi Provincial Park, there are alpine hut’s and wilderness campsites at Russet Lake, 2 km east of Singing Pass, and at the northwest end of Wedgemount Lake. Brandywine Falls Provincial Park, 20 km south of Whistler, is girdled by Hwy 99 on the west and the BC Rail line on the east. The impressive Brandywine waterfall is reached by a short and pleasant flat walk from the carpark along Brandywine Creek. The vehicle/tent campsites here are in constant use in warm weather, but once snow falls, the campground closes for the winter. Nairn Falls Provincial Park is located just south of Pemberton beside Hwy 99, and features captivating views and day-use areas. As it flows through the park, the Green River carves its way through a mass of granite at the foot of Mount Currie. Having picked up volume from the Soo River and Rutherford Creek on its way from Green Lake in the Whistler area, it swirls and crashes its way along until it reaches a fracture in the granite. Suddenly, its broad shape is transformed into a thundering column of whitewater as it drops 197 feet (60 metres) at Nairn Falls. The Callaghan Valley is an outdoor adventure playground in the southern Coast Mountains, 8 miles (13 km) south of Whistler Village. Callaghan Valley offers Nordic skiing on miles of track-set classic cross-country ski trails, peaceful snowshoeing in the old growth forests and sub-alpine meadows, and snowmobiling through old-growth forests and deep powder bowls. Callaghan Valley will host the biathlon, cross-country skiing, Nordic combined and ski jumping for the 2010 Vancouver-Whistler Olympic Winter Games. Wildlife is abundant in the snow-draped stands of yellow cedar, balsam fir and mountain hemlock of the Callaghan and Soo valleys, including mountain goat, moose, grizzly bears, black bears, and cougar. North of Whistler (27 miles/35 km), tucked beyond the Coast Mountains, lies Pemberton Valley and the rustic village of Pemberton. Visitors remark upon the beauty of this stretch of peaceful farmland sheltered all around by the majestic snow-capped Coastal Mountains. Pemberton provides a very convenient base for visiting the ski resort at Whistler. South of Whistler at the head of Howe Sound, and surrounded by towering mountains, is the community of Squamish. 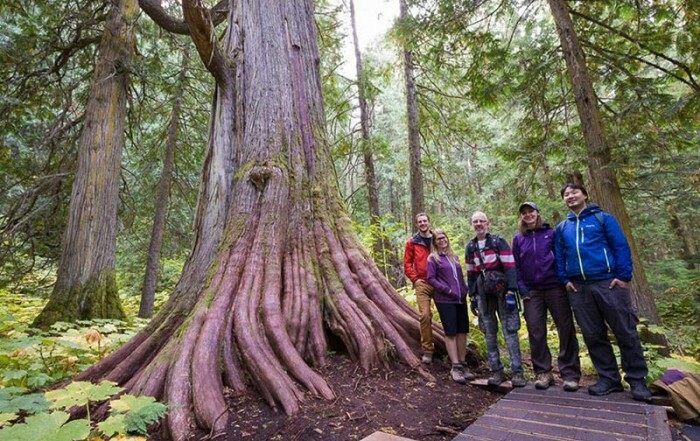 Growing in fame as the Outdoor Recreation Capital of Canada, visitors will discover the abundance of attractions, activities, and opportunities to explore in the community of Squamish. Circle Tours: See the best of the area on a driving Circle Tour. 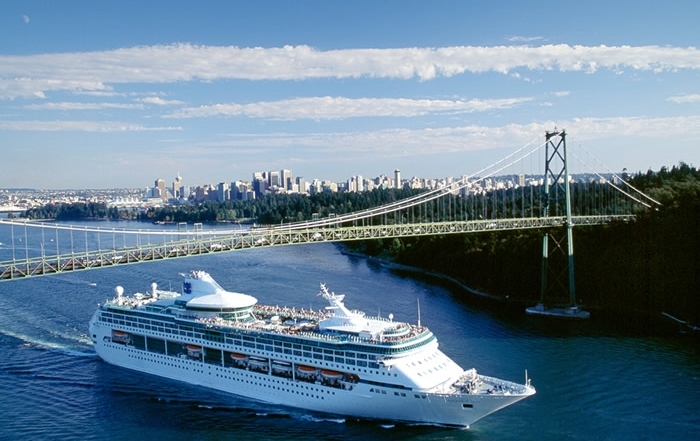 Head north out of Vancouver for the scenic Sunshine Coast and Vancouver Island Circle Tour, or stay on the intensely scenic Sea to Sky Highway, passing through the magical winter resort town of Whistler and Coast Mountains Circle Tour. To explore the rural farmlands and forests of the fertile Fraser Valley, take the Fraser Valley Circle Tour, travelling outbound on the scenic route north of the historic Fraser River, returning westwards along the Trans Canada Highway 1 to Vancouver. 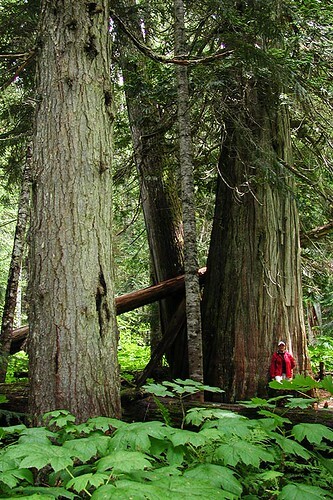 Circle Tours in British Columbia.